You can experience what life was like for the Lighthouse Keeper, with a reconstructed Victorian Keepers cottage and many hands on activities. And for the kids there’s also an open-air play area and fun activity trail, along with some fantastic regular events such as craft activities and rockpool rambles. Visitors can still see the machinery, which remains in working order, and of course climb to the top of the tower. It’s well worth the effort, and once you’ve regained your breath you can literally see for miles! The beautiful South Tyneside coastline below may seem very calm now, but it was in fact once very dangerous. Many ships ran aground amongst the treacherous reefs & rocks and smugglers plied their dastardly trade on our shores, so when the lighthouse opened in 1871, with its state of the art technology, it was very needed! Decommissioned in 1988 this property is now managed and protected by the National Trust. Surrounding the lighthouse are miles of grassy fields, spectacular cliffs and rocky bays. Have a cycle or a walk along the beautiful coastal walks and take in some spectacular scenery. Marsden Bay and Whitburn Village are only 5 minutes a way and definitely worth a visit. 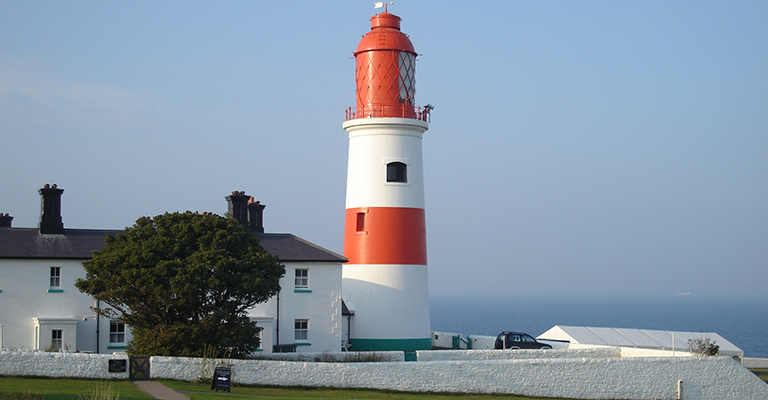 Souter is a haven for wildlife and a must for all visitors.